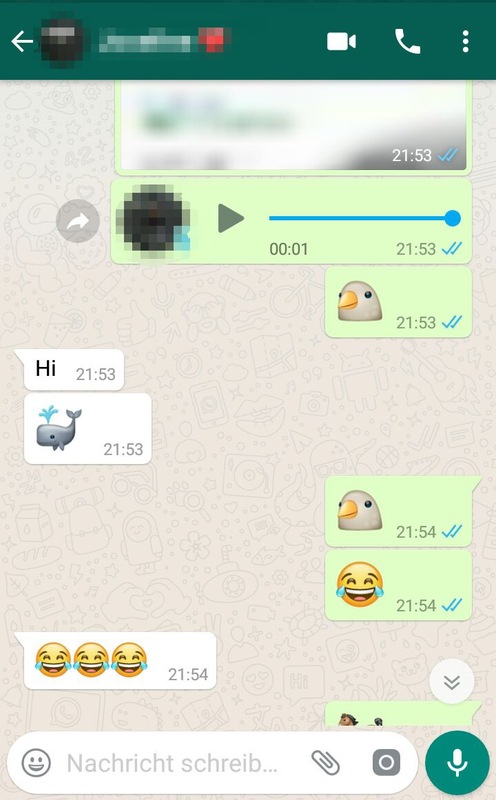 Sitting with my teen daughter at breakfast, she showed me her WhatsApp chat history with a friend: an endless thread of emojis. I told her to have a look at my facbook messenger and introduced her to my new friend, Charly. I discussed options for breakfast (and also sent a few food emojis) and got some very concrete proposals for shopping – to add to my favorites, or to buy on the spot. I met Charly in the preparation of a technology innovation day in the UK earlier this week. He (or she?) is a chatbot from hybris labs that combines a few very interesting concepts to revolutionize commerce and service. You can text or talk, send emojis or pics, get recommendations and reminders. Earlier this morning I cycled to the bakery and the farmer’s market to get our food for the weekend. I enjoy the chat with the market people, the sensual experience of seeing, smelling, and touching food that still has bits of the earth on it where it grew. Whenever I am at home on week-ends, I try to start my week-end with a visit to the markets, and an espresso at the French boulangerie nearby. Would I rather chat with a bot in exchange? For sure not. This was an entirely different story, on the other hand, when my shower head finally clogged up with lime, and I had to decide whether to get an exchange or whether to clean it somehow. Research on the internet, trying to figure out which model I had – not a joyful experience. I could unscrew the piece and bring it to the DIY-shop – but those guys typically do not have the brand I want, and would try to sell something else from their product range & stock. Do you like to make mistakes? How about waiting? Although an engineer by education, I am not a crafts person. I do not like the frustration of buying a spare part or replacement, and then figuring out at home that it is not compatible. Worst of all, I typically realize this on Saturday evenings or Sunday when it is too late to look for the proper thing and return the “mistake”. I hate it. to have someone experienced on the other side. Someone who knows the most likely issues with this product – what may have break, clog or may need a regular replacement. I do not want to explain in length. And I hate to make a fool of myself when I can’t name properly that little thingy inside that broke, that ring, you know. to have someone tell me exactly what replacement/spare to order. Actually just order it right now. Coming back to Charly; he actually has most of these capabilities already included. They are already part of the components Charly is built from. Let’s take a closer look what you need for “Service-Charly”. Our use case is to match a photo against a catalogue image e.g. 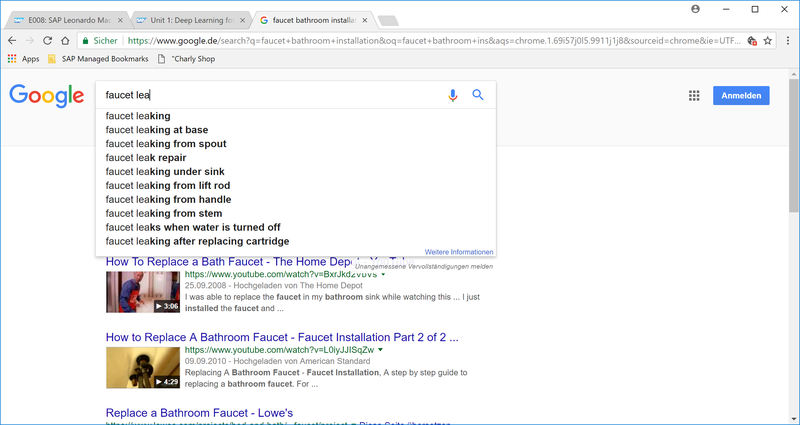 of a faucet. In data scient-ish, this is called image similarity scoring. This is available as a new service within SAP Leonardo machine learning foundation. The new image classification service can be retrained to recognize customer-specific objects such as products, components or spare parts. Check out the customer testimony of Vale who took just 4 weeks to implement a POC for a very similar use case, a touchless part requisition with ML image recognition. It is just spare parts for mining equipment, not faucets. Another similar use case, for much smaller objects, is to reorder a replacement for delicate glass crystal figures. Find the video showing the machine learning service in-action here. This building block is about understanding a customer question and routing it to the right human expert, and to find a possible resolution. The foundation of this is to understand the question, first of all. I will not even try to explain how natural language processing works. While a fascinating topic, I really grasp only the basics. In the end, a program should be able to understand sentences, identify keywords and semantics, and respond in a meaningful, human-understandable way. On a higher level, well, there are two Leonardo business services available exactly for classifying the ticket, and for recommending a possible solution. Would you like to see my new friend Charly in action? Check out this little demo tour to see how versatile he actually is. Beyond my above wishlist, Charly can be much smarter drawing from additional sources of information – including my customer account, past orders & “backend” history, my preferences with all the power of hybris marketing profile, location information through including Google location services. Charly can also remind me, recommend, and ask for clarification if there are multiple options. Best of all – he talks to me through my preferred channel: the facebook messenger. I am in my usual context, and the conversation is part of my other chats with friends and colleagues. From a business perspective, I love the end to end integration. 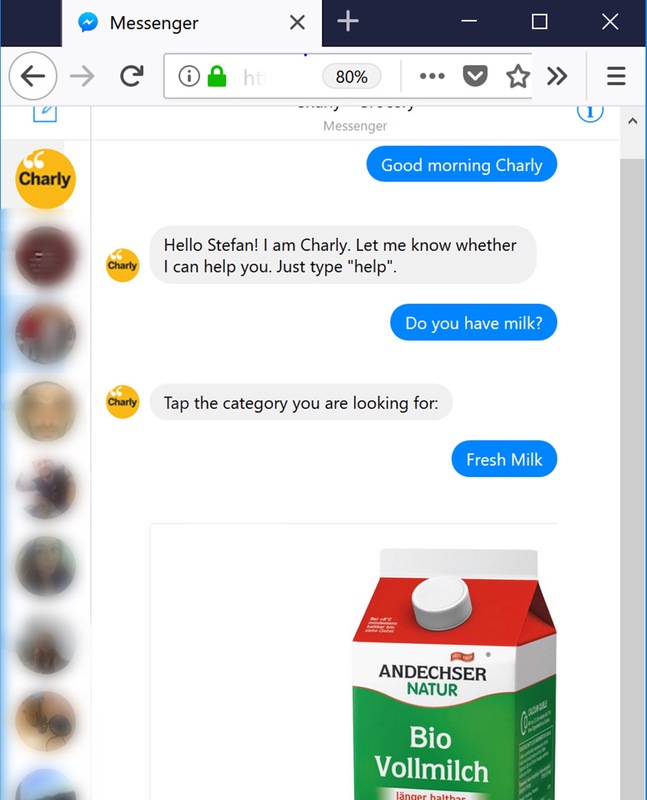 Charly creates an order in the hybris webshop, clarifies payment and shipping options, and sends a confirmation and electronic bill. Any status change to the order – Charly will keep me conviently informed. I do not need to even go to a self-service customer portal. Interested to hear more from companies using SAP Hybris Service Cloud? There is a lot more to service than just chatbots and machine learning. Check out these customer testimonials of engineering and construction company Alfanar’s and consumer products company Bona to get a glimpse of what’s possible. Will this work for me? Will this work for you? Best try it out yourselves, and invest 4 weeks into an own POC. Learn how to bring new technologies and services together to power digital transformation by downloading The IoT Imperative for Energy and Natural Resource Companies. Explore how to bring Industry 4.0 insights into your business today by reading Industry 4.0: What’s Next?